Raj Kishore, who played a prisoner in Sholay, besides acting in many other films, reportedly passed away after suffering a heart attack early Friday morning. Veteran actor Raj Kishore passed away April 6. Raj died at the age of 85. 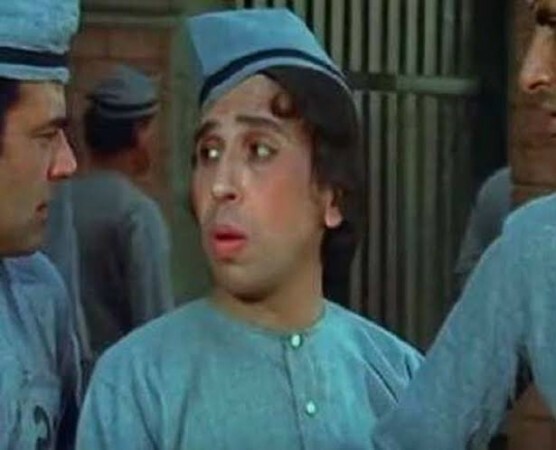 Raj, who had played a prisoner in Sholay, besides acting in many other films, reportedly passed away due to a heart attack early Friday morning. The actor's last rites were performed Friday morning itself at Aarey Crematorium, Mumbai. It's not known if Raj was suffering from any serious health issues or if he had a history of heart disease. Apart from the classic film Sholay, he featured in films like Padosan, Aasmaan, Bombay To Goa, Deewar, Hare Rame Hare Krishna and Karan Arjun. Raj had worked with almost all big Bollywood stars from the 1960s to the 1980s. However, he is best known for his characters in Sholay and Padosan. Although there has not been any tweet from the Bollywood stars on his death, a few people are mourning his demise. #RIP #RajKishore! Veteran actor Raj Kishore passed away last night due to heart attack. ? Did memorable side roles in Ram Aur Shyam, Sholay, Anamika, Padosan etc. The year 2018 has been a tragic one for Bollywood as a number of actors passed away this year. Below are the list of Bollywood celebs who passed away in 2018. Nargis Rabadi aka Shammi Aunty died earlier this year due to old age. Best known for her character in Dekh Bhai Dekh, Shammi had died at the age of 89 in March. She was apparently suffering from prolonged illness. Narendra Jha had breathed his last after suffering a heart attack in the same month of March. He had passed away due to heart attack at the early age of 55. Jha was rushed to hospital after he had complained about chest pain, but he could not survive. Sufi singer Sufi singer Pyarelal Wadali had died in March also after suffering from a cardiac arrest. He was 75. Ava Mukherjee, who had played the role of Shah Rukh Khan's grandmother in Devdas, had passed away when she was 88. Bollywood suffered another loss when veteran cinematographer W B Rao died in January. Charu Rohatgi, known for roles in No One Killed Jessica and Ishqzaade, had passed away due to cardiac arrest in January. Shrivallabh Vyas, who was seen in Lagaan among many other films, had breathed his last after suffering a paralytic attack in January. He was 60. And the most-talked-about death was that of Sridevi. The popular actress' sudden demise had left the entire nation shocked.